This is one of the best sebum or oil blotting powders, I’ve ever tried! This works better than my MAC Blotting powder and is a fraction of the cost. I would definitely recommend this. It has a nice “minty” kind of cooling effect, and doesn’t feel cakey. It doesn’t leave any white casts as long as you blend nicely. I like to pat this one with the puff, and then gently dust and blend with a fluffy face brush. For $5 USD, this is a fantastic product. Keeps me oil and shine free for more than few hours and only a need to blot once or twice over the course of 10 hours. Using this with the sebum control primer works wonders! I’m on my second jar! This powder is amazing! It sets my under eye concealer nicely and does not cake it up. It’s an excellent oil control. When I apply this at my t-zone, I only have to blot after 7 hours or so. I’m usually sensitive to powders but this one does not make me itchy or uncomfortable at all. I sometimes apply this at the roots of my hair whenever it’s greasy. I am definitely getting more than my moneys’ worth. There is no need to buy those expensive high-end brands because this one does the same job and it is more affordable. Amazing product. Better than MUFE’s high definition powder at a fraction of the cost. Very fine powder. Doesn’t look cakey at all no matter how many layers you put on. Does help to reduce shine and control oil but only for a few hours, minimum of two. Has a slight scent but not strong enough to irritate the nose, especially if you don’t like strong scents such as really strong perfume. I super love this powder! I use it to set my makeup for whenever I decide to put some on, and sometimes for days when I don’t want to wear makeup but remain shine-free, I use this on its own. There’s a slight scent but it isn’t too strong, it’s actually delicate! I highly recommend this. I’ve tried many no sebum powders, but this one has to be the best, i use it over my make up and it stays all day, i sometimes use it on my forehead after skincare, and i don’t get oily at all, i’ve also used it in my hair when i didn’t have time to wash it, and it works wonders! It is seriously worth trying! This product is your good to go last step for your skin! It is light and helps your make up stay on longer. It has no color to it so that is why I recommend it to others. I carry it to school everyday for my touchups!! I have this and the pact one. Although i find the pact one better since i can control the powder i can put it my face, but this is still hands down one of the best loose powder in the market. It gives you that oil-free flawless look without looking very cakey. It’s a must have for beauty enthusiast like me. This is great! Really helps to mattify your face, and removes the stickiness of bb cream/foundation. Highly recommend, especially if you have oily skin or want your makeup to last all day. a very good light loose powder that does not cake easily and does help control oil and shine. For $5 i would say i am definitely getting my moneys worth as a small tub can last a long time. I can’t believe the quality of this product for the price. I bought this and the compact form and I like both. It helps to matte your t-zone and it really helps with oil control. I love the fact that it gives you that flawless look after you use a cc cushion. Very recommended for purchase! If this controls oil or not I’m not sure as I only used it once. It made my foundation and skin look really dry and flaky even though it was moisturized. I’m sorta oily on my nose and forehead only and I usually wear BB creams/cushions. This kept me pretty oil free for the whole day and is cheap as well. This is so versatile as you can use this on your hairline as well if you have an greasy scalp in the middle of the day. 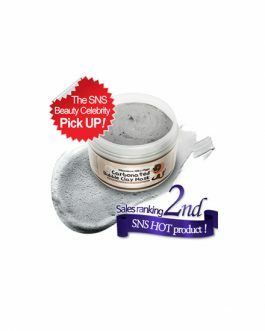 The powder is very finely milled and works really well to control oily skin without looking cakey. It can also be used on the hair to conceal an oily scalp. It’s really finally milled powder that doesn’t leave much of a noticeable cast (but not really recommended for high photography/flash photography cause the camera will pick it up). I don’t really like using the puff that comes with it (find it a little small) so I use my brushes instead and just pat it around my T-Zone area. It does works in controlling your oil but be aware to not use too much else it can look cakey (especially if you’re someone who gets REALLY oily). One thing I didn’t like about it is how little you get for how much it is worth but I guess that can also be a pro because its travel sizable. This powder is pretty spot on! I’ve got combination skin with a really oily T-zone area and I sweat really really REALLY easily. I’ve used several powders in the past to help with the shine/droplets but they either didn’t really work well in combating the shine, or made my face look unnatural and cakey. This powder does the job PERRRRRFECTLY. I can sweat normally and not feel worried that my face will look like it has been through a deep frier =_=” LOVE it! And super cheap too! I absolutely love this powder! It’s seriously amazing. It was my first time trying this out when I was going to prom. I used the Laneige Pore Control BB Cushion and Maybelline Baby Skin Primer underneath. Eventhough I have an extremely oily nose, a pretty oily forehead and eye area plus I was sweating, it lasted the whole 10 hrs! It doesn’t look cakey and it’s smooth. The packaging is smaller than I expected and it comes with a a pretty decent puff which is convenient. I really love this powder. First off all, the puff that comes with this product is super nice and soft. The powder itself is very fine and it doesn’t look cakey. I carry this product in my bag as a finishing powder or an oil controlling powder. It works good on my skin(dry to combination skin type) and i’ve been using over 5 bottles now.It may be dry on really dry skin type but if you only use this on T-zones or the oilly part of the face then you can avoid the dryness. also I really like how IBBI has the cheapest price and in stock all the time! 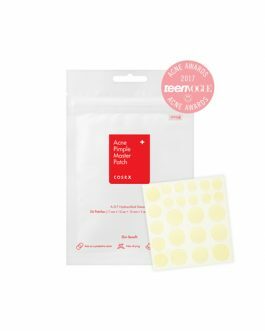 i love this product and it works amazingly on the T-zones only the T-zones tho because if you put it on other places it would look to un-natural because it is very matte once you put it on. Love this product, it does keep the sebum away but I find that on particular hot or sweaty days, it can’t prevent the oil from seeping through. Doesn’t work any better than any other silica powder I’ve tried, and the amount you get is very little, I mean VERY little. If used daily, it would probably last two months. It does feel nice on the skin, though. This really keeps my skin matte and smooth for a long time. I prefer to use a brush to control the amount, with the puff I always get too much. Great for oily hairline too! i love this product! i already have one in compact form for travelling. This product is amazing! Rather than using a puff, I use this powder with a powder brush. It leaves me grease free for the whole day. Definitely recommend this product! This was a repurchase as I originally began using this product about a year ago. THIS IS MY FAVORITE POWDER. I must say this is a dupe (my opinion) for the make up forever HD powder, but it’s so not in my price range for a face powder. BTW forgot to mention that I have combination-oily skin type during the summer and fall but winter I have combination and DRY skin. I use this powder for numerous things as it claims. I use this over my batiste dry shampoo as it not only absorbs the oil really well, it adds a lift and some texture to my hair as well. I use it after I apply all the liquid products, of course as an all over finishing face powder before I do a little bronzer and some blush. The lasting power is great too and I enjoy the fluffy application puff. I am also grateful for the stopper as it is mess free. Highly recommend this powder!! Highly recommend for oilly or combination skin type in summer time. It absorbs extra oil on your face and gives a clean and matte finish. It had a mint smell which I like it so much. I always put it in my makeup pouch cuz it is light and easy to carry around. The price is affordable for students like me. Great product but a little messy since it is a loose powder. I wish I had gotten the pressed powder instead. However the powder itself is great mattifying without getting cakey! This is a great powder to use in the summer, as my face gets very oily quickly during the day. I just powder my face with the puff a couple times, and my face feels baby soft and matte. Also, a great use for this is to use it before doing your eye makeup, to prevent smudging or caking throughout the day. I also use it if my hair feels or looks oily, and I just pat a small amount and it works just like dry shampoo and absorbs the oil to make it look fresh. Awesome product! this is my new holy grail powder. it doesn’t leave me cakey but still helps my make up last all day , you have to buy this !! I like this powder a lot and it is very good for baking the face. But one thing about it is it leaves a very faint layer of caking? i dont know how to explain it but you can tell you have make up on. I recommend the pressed on more. this is the best loose powder, or powder in general that i have ever used and it’s so cheap and affordable as well! has a nice minty smell and works as dry shampoo as well! i’d recommend it to anyone with any skin type, honestly. 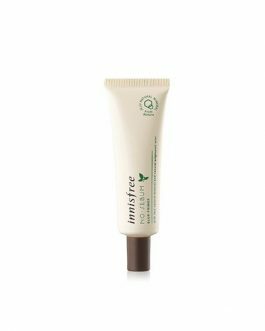 best product from innisfree! I love this product! I have bought this powder in the pact form before but I do prefer it in this packaging. A little goes a long way and it keeps the oil on my t-zone from showing up all day. I think it is best to use this with a brush after tapping a little bit onto to the lid. Having said that, I do re-apply it on very hot days for the best effect. Planning to repurchase! my favorite from innisfree, and good for baking, leaves the skin so soft and flawless. Teh powder is finely milled and makes the skin very smooth. Keeps the makeup from creasing. Smells good and does the job perfectly for a very good price. I love this powder! It makes my skin feel so soft and smooth. I also love how compact and affordable it is. This powder is finely milled, will give you a smooth finished without being so cakey, and keeps the makeup from creasing. It smells like oriental medicine, but I wouldn’t mind that. However, this powder is not photo friendly. When you take a picture, it’s look white, so keep that in mind. Besides that, I think it is amazing and super affordable. Really awesome product!! leaves my skin feeling like a baby’s bottom. So smooth. and really helps complete and kind of seal my makeup in place. help to keep ur makeup intact if your makeup tends to melt off. Excellent product! 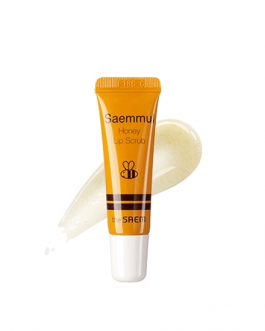 Very easy to apply, leaves the skin extremely soft to the touch and lasts all day long. I will definitely re-order. Good for my oily/combo skin. Very fine white powder that leaves a translucent, soft finish when brushed onto the skin. Really helps to set my make-up. I really love this product and I have super oily skins and this help me a lot more than the other products I have own. I still tend to get oily here and there but not a lot like I used to with other product. I will purchase this again. Love this product! Easy to carry and easy to apply, leaves skin soft. The scent is also really nice and really affordable! After using this powder, I finally understood what the hype is about. It helps in oil controlling very well. I usually use this after my skin care routine if I don’t put any make up. It has a very smooth finish. The scent is not too strong, it is very lovely! Would purchase this product again! Very fresh and cooling on the skin 🙂 controls oil well. I will buy this product again. I highly recommend this product for oily and acne prone skin individuals. I really like the fact that after applying makeup ad finish off with this powder, my makeup lasts long throughout the day. NB: makeup melts smoothly throughout the day, not much of an oily face, does not irritate sensitive skin, great for skin care routine so I really like that. I have this product stocked up. This sets my makeup amazingly, without looking cakey or powdery. At first it leaves the face looking matt, but a few minutes after it sets into the skin and leaves a very natural looking base. Favourite powder ever! I have used a lot of powders, but this is definitely a keeper. It’s soft and it’s great for setting your make-up or even bake with it. Very awesome powder!!! I put it on my face and hair if they tend to get greasy throughout the day. It absorbs the oil right away, leaving my skin soft and powdery. I use this practically as a dry shampoo when i am too lazy to wash my hair. Anyways, absolutely great product and I would buy again and again! Helps a lot when on days I know I will get oily. Though it helps keep my face matte, there are days I am extremely oily in which the powder doesn’t help. I am on my fourth powder…this is how amazing this product it. it doesn’t cause ANY breakouts and it is the ONLY product in the world that keeps my eyeliner in tact throughout the whole day. i would buy this product over and over again, until i die. There’s a reason why everyone has this product and still raves about it today. It is seriously my holy grail product. The powder sets your makeup in place without making you look cakey and actually gives you a nice glow. It gives your skin a smooth and even finish and gives your makeup the perfect touch. 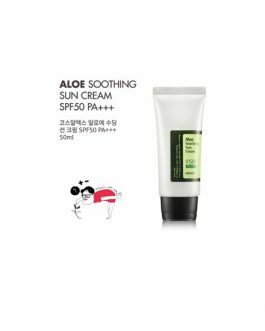 It really can control my oily skin so that I won’t looks so oily even after a hot day under the sun. Small in size and convenient to put in handbag. I am using this powder to set concealer under my eyes, but also BB cream on my t-zone and it does a great job (when applied with a brush)! The only thing I don’t like about this product is the packaging which is not very convenient. But since I really like this product, I’ll definitively repurchase it! My oily skin has been really manageable since I started using this. Good over foundation or concealer! Amazing product for such a price! I’ll buy it again. Great powder– easy to use with a puff or a brush to help set my makeup and to take away the shine on my forehead. I really like the sweet minty smell as well. LOVE LOVE LOVE THIS!!! So GREAT for oily skin and as a powder! It’s really controls sebum and works better than eye primer on my eyelids. Finally my eyeshadow stays more than 4 hours! The smell is strong but it blots the oil well. And it also stop foundations to be dewy. WOW. Wonderful product. I am in love. Wow. I can’t even find any negative aspects to point. I wasn’t into powder and cushion before trying this one but now I would not be able to be separated from it during more than one day. It is such a great product. I have a heavy skincare morning routine so sometimes my face gets a little oily/greasy or shinny (but not in a good way) and this Innisfree powder is the best final step to set everything without looking all cakey at the end of the day. You can’t overdose because the powder is really light and pale ! The scent is also light, almost nonexistent. The packaging is simple and it’s quite easy to keep it in my bag if I need to do a touch up during the day. However in my case most of the time the coverage lasts all day and I rarely need to put some more and if I really need to it’s on T-zones which become oily faster than other areas of the face. I am so impressed to have such amazing results and paying only $5 ! I do not ever regret buying it. I will recommend this powder to everyone who wish to have a nice makeup finish. Let’s all throw away our old powders and use this one ! I use this powder as a last step of my makeup as it gives a matte effect look on my skin. I also use this powder whenever my skin feels oily. Definitely worth a buy! This is an amazing product. I love it. I tried the compact version but it is not the same as this product. I use this product to set my makeup and it gives me a matte look. Definitely recommend this product! This is an amazing product. It gives a natural matte finish on my skin without looking cakey. It is perfect for controlling my oily skin! I can’t go out without this product applied on my face. It does a good job controlling oil and keeps my face from looking like a grease ball. Chicas! Este polvito es increible! Les aseguro que no se van a arrepentir. Al principio pensaba que el paquete era muy pequeño pero ahora estoy completamente satisfecha. Como adolescente con piel grasa creo que funciona muy bien. Lo uso diario para la escuela ya que no uso maquillaje pero tampoco me encanta que me brille la cara todo el día. This product controls oil throughout the day. I don’t have to reapply it at any point in the entirety of my 10-hour work shift. In addition, should one choose to apply it, it builds very nicely. The powder itself is very fine and sits on the face with a light feel, all while adhering. A very delicate solution, and a new HG product. This powder is one of the best.I have a oily skin and when i applied this powder my skin is less oily. My favorite! I love how it keeps my face matte and make my make up last longer! I love the smell of this powder and I’ve actually been using it on my hair and face! It’s great for keeping oiliness down. This product is very good at minimizing oils and shine. It is a very fine powder, and I noticed you don’t have to use a lot of it so even though it’s a small container, it will last quite a while! Only thing is, if I do happen to dab on too much, it really dries up my skin and makes it whiter so I use less now. Other than that, I am very satisfied with it!! To make it easier to dispense the powder, I poked one hole through the plastic screen that covers the little holes. That way, I can control how much I want of the product instead of having to tap product off of the cushion if there is too much! Love this product. I have an oily T-zone, and this powder really helps keep the shine down long enough until I get home. On most days I would be outside for about 6 hours from the time I put my makeup on, I can usually get away without blotting my face until I get home 2 hours after. So a total of 8 hours with no touch-up. However, I also use a matting lotion from L’Occitane that worked great before I started adding this powder to my steps. Make sure you use a good moisturizer before the makeup. Avoid using this on any dry areas because it can make it even more noticeable. Good for my combination skin. It can keep my skin dry for whole day. The shipping is very fast. Received it in 15 days. It is great and it smells so nice!!! My skin stays dry at the end of the day after applying this powder and I love the smell. Successfully made my friend purchase this powder too! Please restock this as for now I have to buy the pact one. I have oily skin, this doesn’t keep my oily at bay – it just blurs my pores and gives my face an airbrushed finished but I tried baking with this and NOPE don’t do it – it gave me a white flashback in pictures. I just use it as a finishing powder – won’t be repurchasing, I like the smell though. At first, I wasn’t sure how this product would work on me. I have really oily eyelids where it would remove my eyeliners. After I used this on my eyelids, my eyelids are no longer oily and my eyeliners would stay on! You might have to apply it once or twice again to control the oil on your skin. This is my holy grail !!! <3 Best powder you'll ever find ! Yes yes yes – if you have oily / combo skin! Mattifies, covers pores and sets your make up. Sometimes I use it on its own and it keeps my skin matte. I tried a lot of powders but this one is the best. This powder mattifies and sets your makeup. It absorbs all the oil and makes my face feel satiny smooth! Though I would probably recommend using a fluffy brush rather than the puff that was given. I bought this because it’s raved about and it’s as good as everyone says. Doesn’t break me out. I mean… do we need more words to say? This thing is holy grail for oily skin and maybe furthermore, for every skin type. 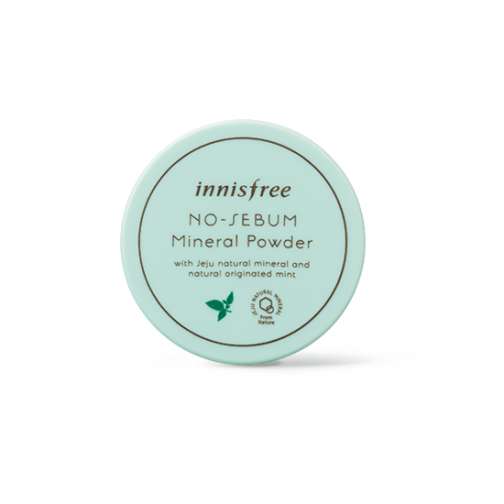 I love the Innisfree No Sebum Mineral Powder! I use it every day after applying BB cream to set the cream, and it takes away any stickiness to leave a smooth finish. It works well on different types of BB creams and can be applied with the cotton puff that it comes with or a larger fluffy blush as well. The smell is really nice and one case lasts a long time. It works as good as other mid – high end range brands, and yet cheaper. Will re-purchase again. While the pack size is small, I love it because it does not take up much space in my bag. It has the typical “mineral” powder smell, but still acceptable. One of the best powders I’ve used so far! Definitely will repurchase. It does it’s job in keeping my skin oil-free but sometimes I feel like the powder is a little drying for my face. I’m on my third one of this and I continue to love it. Definitely one of the best I’ve used – great oil control without drying you out or being cakey. Perfect for combination skin! This is one of the best powders I’ve ever used! It’s the best of the roadshop brand stores for mattifying and giving an airbrushed look, and I can confidently say that it compares to high end powders such as the Laura Mercier Translucent Powder. Oily-skinned people will love this item! eye concealer nicely and does not cake it up. Great powder. Does not give a cakey look. The puff is so soft. A must buy. This is my holy grail powder! It completely blurs pores while leaving the skin so smooth. It also comes with a very soft puff. I prefer this powder over many of the western brand ones. The lasting powder of this is amazing, and it doesn’t leave your face looking cakey. It does have a little bit of a flashback so be careful with that if you know you will be taking pictures. Otherwise, this is the best bang for your buck powder. Great product. It’s very light and does a wonderful job in kipping the skin matte. Now that it’s so hot outside, I like to use it with just sunscreen (if my skin looks good), and it gives a baby-like healthy appearance to the skin. I love, love, love this product. This is my first powder and I have no regrets, I’m already thinking of doing some serious hoarding. Only a few minutes at work, my T-zone’s already super oily but this powder works like magic. It sets my makeup well and makes it last a lot longer. One of the best setting powder I’ve ever used! Goes on matte and smooth. A thin layer is all you need to mattify your foundation. Make sure to pair it with a foundation with long staying power to maximize shine control. I can’t believe how awesome this product is! Applies very easily, nice and smooth and matte, but not cakey. Very light and a little goes a long way! Highly recommend this product to everyone! I accidentally bought 2 of this powder but after using it, I’m glad I did! With other powders, sometimes you see some white cast but this one is very minimal to none! It really keeps you matte. When I use a matte cushion, I can’t even put this cause it’ll really take out the extra oil that comes through! My boyfriend likes it too cause it doesn’t add colour to his face. It has a nice mint smell but it’s so faint. Definitely will buy again when I ran out! Love this powder for my oily skin! Best powder I ever used. I have oily skin. Sets really nice and makes foundation stay all day. It’s the first powder I tried and I’m not sure if it works for me.I have to use a lot to feel like it cover my skin. I live in a very humid place and it kind of helps with the sebum but I still sweat through it. But it doesn’t have a strong smell and it doesn’t leave a white cast on the skin. Works very well, even a little goes a long way. I dislike the packaging a lot though, no way to keep it mess-free if you don’t use the puff. But overall it’s great. It literally makes skin look extremely smooth and air-brushed, literally! It would be perfect if it was no soo dry on my dry skin because I wish I could use it everyday. I use it on special ocassions like party all day and all night and thank to it my whole makeup and my skin look flawless! I bought it because it is top in the Korean makeup powders and yes I really liked it. The powder can be used as a makeup fixer, an oil control as well as to make the creamy lipstick to a mat lipstick. It is just a must have especially for its price. Had to reorder because it works so well! Sets my makeup and gives me a less oily look. The only reason i didn’t give this product 5 stars is because i have dry skin and it kind of shows the dry spots off after a few hours of wearing it. However I have tried powders for $40 that did worse than this one and this ones only $4. Extremely great value and despite the -1 star, i highly recommend it. I swear by this product!! Im already on my way to a third one. it very compact and affordable. i always have it in my purse or my pocket whenever im out. very good for oily skin and it works as a oil blotter as well. it does not gives a grey-ish look for people on the darker side. will buy more of this. Love it. it is very good for oil control. Makes the skin very soft. I still have creasing under my eye, but nowhere else when I use it. Doesn’t agree with my skin when I don’t have makeup underneath but that could be a personal problem. very good powder for oily/combination skin. Very good powder! It is transluscent and doesn’t make my face too matt, i don’t like matt skin) This powder is invisible on the skin and smells so good. However this product covers the pores and minimizes the sizes of them significantly. I use this together with the Laneige Pore Control Cushion and the Urban Decay Naked Skin Ultra Definition Loose Finishing Powder. I’ve has gotten compliments on how flawless and soft my skin looks. The product itself is very little but a little covers a lot. 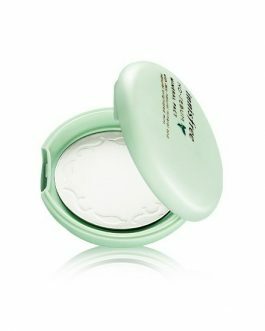 The cushion picks up decent amount and you don’t really need a lot for it to cover your pores. I’m thoroughly impressed and will purchase more in the future. I’ve only used this powder once and it’s already a holy grail product for me! It kept my face fresh and dry and my makeup lasted for almost 10 hours while still looking fresh and beautiful in a humid, wedding environment! Love, love, love it so much! very easy to use for travel when you don’t want to take your brushes with you. it matts down some oily areas on my skin and holds for a few hours. try not to get it on dry patches/on dry areas on your face, bc sometimes it can make your makeup look cakey or your face very dry. My holy grail powder! Translucent and helps with my oily areas around my nose. Super cheap too, so be sure to stock up on these! I love this powder -really recommend! For me it cakes up with foundation/bb cream. Will try using a brush instead of the puff. This powder is amazing! It keeps the oil on my forehead away for 6+ hours at a time and makes my skin feel very smooth! Plus the puff is adorable! I have mixed feelings for this product.. I was using the No sebum blur primer from Innisfree two weeks before I started using the powder. I never used them at the same time, since the primer completely dried and flaked my face. As for the powder, I think it is not what I need right now, since my skin is no longer that oily as when I ordered it. I’m afraid to put generous amount of it on the face since it may flake my skin just like the primer did. I loved how the primer worked in the beginning – no sebum, no pores, but after a week of everyday usage, it did no good to my skin. Oh, and also the powder caked my cushion on the chin and on the cheeks a little. Not what I expected. Ok, update: I’m inlove with this powder, after I gave it more time it actually is a very nice powder, there’s no sebum and it gives a really awesome velvety finish, which I adore! I guess my skin was just over-dried from the No sebum blur primer. This is super light but it works better than any of the high end powders on the market. It doesn’t make your makeup look cakey and you don’t need a lot to keep your oil at bay. I normally use it on my nose because it produces the most oil and it stays oil free for the entire day. It’s a good product, but in several hours oil appears on forehead^) I would definitely prefer a pact instead of powder next time. It’s hard to use in the corner of eyes with the puff. This is a cult classic for a reason! I love how silky the powder feels, and the mint scent is light and fresh. I have oily skin and the powder keeps my face from getting shiny. I’ve also found that when I set my eyeliner with this powder, it has much better staying power. I’ve always heard so many good things about this powder, so i decided to give it a try. Now, I can totally understand why it’s so raved about! The packaging is small, so it’s great to put into your purse/bag, and it keeps my makeup relatively matte for about 4 hours (I have combination skin). It does wear off throughout the day, so you’ll need to touch up, but it does so in a very natural way (doesn’t make your makeup look cakey or collect around your pores). Honestly, for the price, it’s so worth it, and I would definitely recommend it! Love this. As you can probably see in all the reviews, it is so good at setting and my skin looks much nicer afterwards. Definitely the best sebum setter out there for this price. Excellent powder! 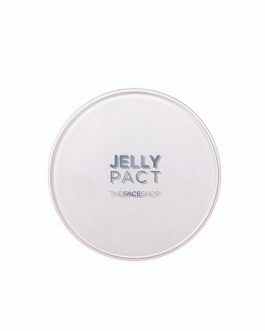 I usually use it to set my oily T zone and it works better than the One Heck of a Blot pressed powder (where I still have oil after 2 hours). Small scent to this powder but nothing that will stop me from using it! Am considering buying the pressed version, maybe the packaging is even smaller so I can pop it into a small purse. This powder feels very fresh and light on the skin and keeps the skin looking clean all day. Very good product for such a small price. It does a great job at keeping me matt right after applying sunscreen and looks natural for my skin colour. Cant beat the price either. As someone with oily skin, this works so well! It doesn’t make you too matte, and you don’t get oily again soon. If you do a good job with the blending, you definitely won’t get that white cast that can happen to some people. I’d definitely recommend it! The powder is so good at what it does! After I apply my sunscreen I like to apply some of this on my forehead and around my nose, my forehead can get oilier than the rest of my face especially on hotter days because of my fringe, this powder has helped stop that from happening and it stays matte thought out the whole day. I love this powder and I’ve also just bought the compact version of it for when I’m travelling and I’m excited to try that! AN AMAZING AFFORDABLE POWDER. Forget buying overpriced setting powder, this powder works just as nice & is a lot more gentle on your skin! I find that this powder provides great oil control, but still lets my skin breathe 🙂 Locks in my makeup well too! This is amazing powder! this is my love! 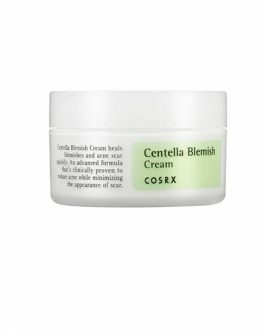 Works great on oily and combination skin. The effect lasts for a long time. The price and quality!